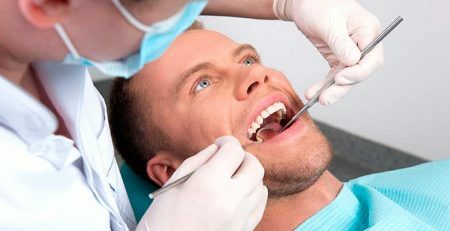 A more complete and updated clinical view of periodontal treatment and diagnosis. 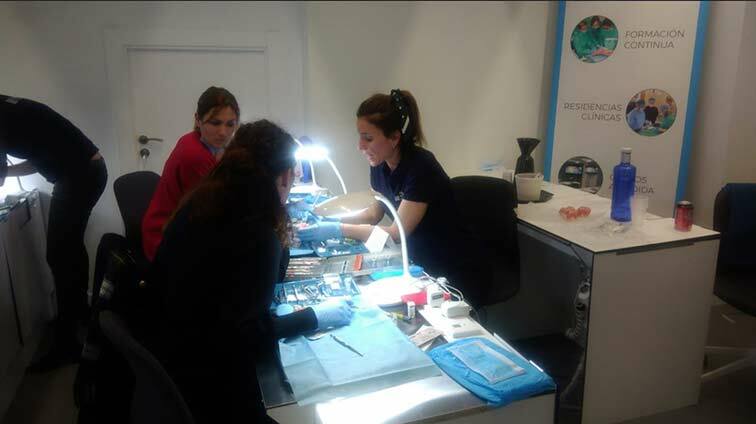 This is what students who participated from February 21st to 23rd in the PerioCentrum Academy periodontal surgical course have acquired. 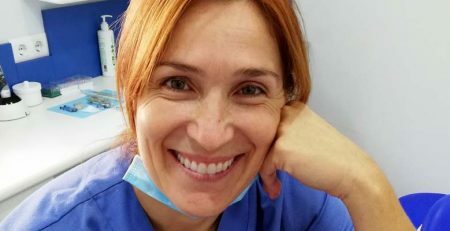 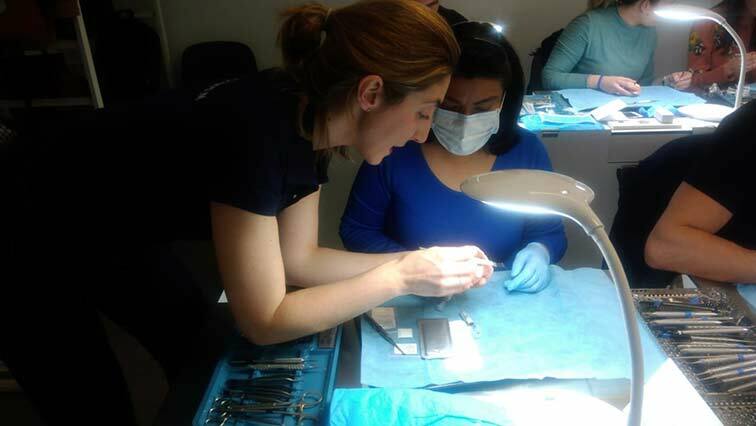 During the first day, the doctors Estefanía Laguna and Mercedes López laid the foundations of the treatment plans, surgical and non-surgical, accented the systemic phase and the most important factors when making a diagnosis, taught the techniques to perform postoperative treatment and evaluated the necessary instruments to carry it out. 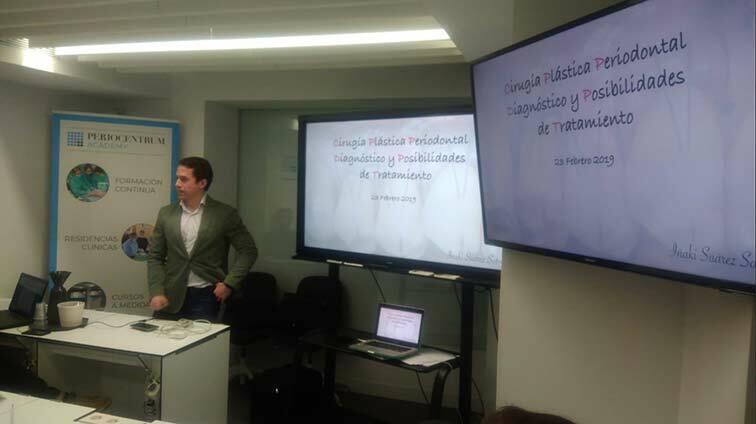 Eduardo Montero went further in-depth during the second session of the course in periodontal regenerative surgery. 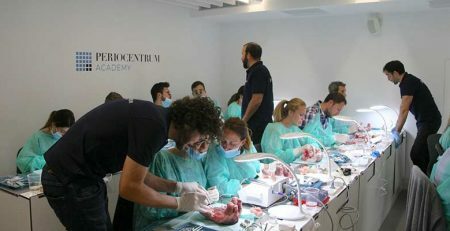 In the afternoon, the doctors María Mínguez, Estefanía Laguna and Nerea Sánchez guided the students’ practices on pig heads. 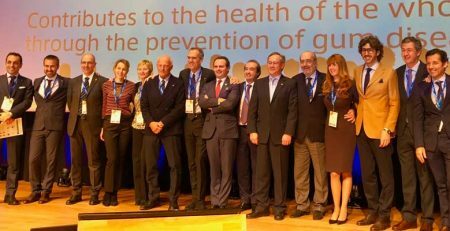 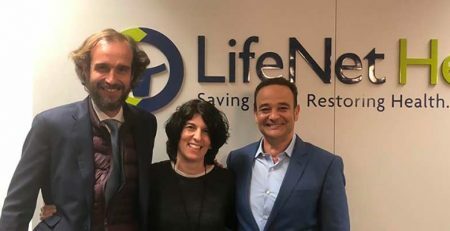 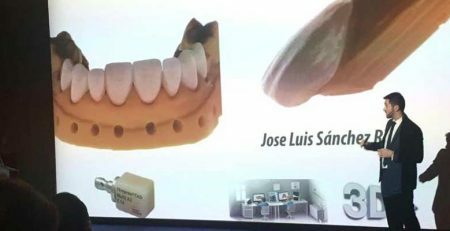 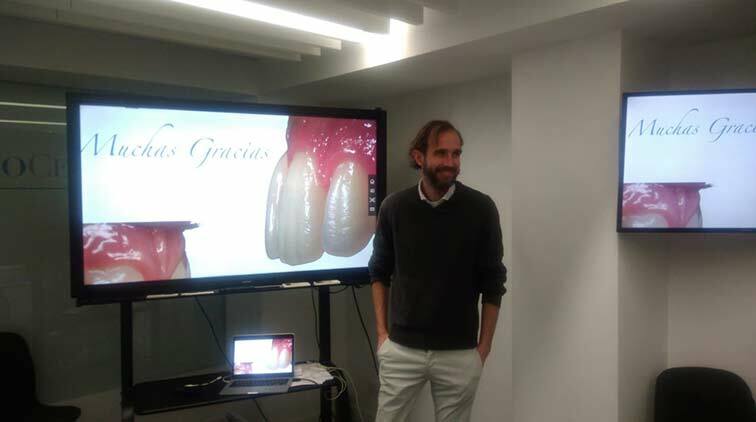 On the last day, Ramón Lorenzo and Iñaki Suárez, clinical directors of PerioCentrum Madrid and San Sebastián, were in charge of explaining the techniques of coronary lengthening, the essential requirements to tackle periodontal plastic surgery and the different treatment possibilities existing through the study of several cases. 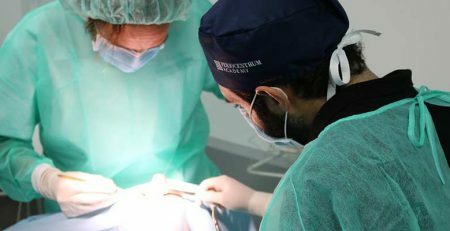 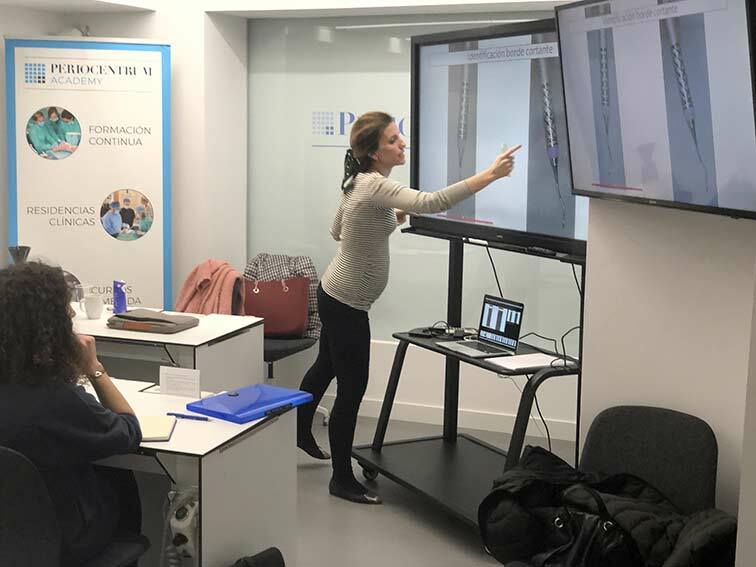 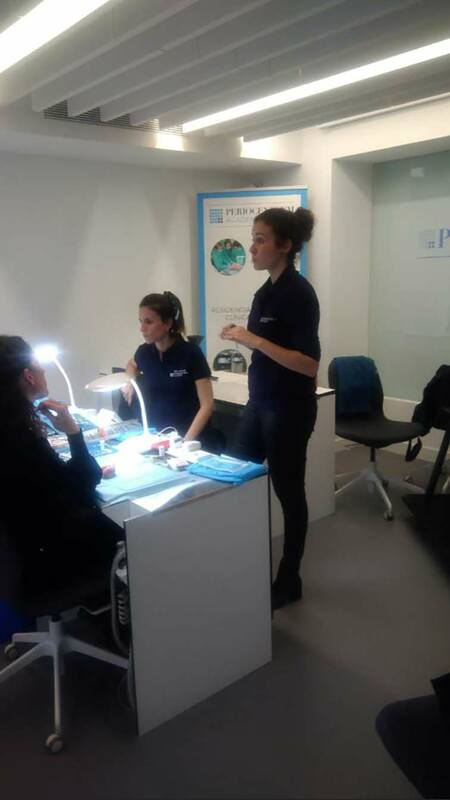 The last edition of the Surgical Periodontal Therapy course has been for the students a sum of motivation, experience and professional advancement.